Benefit came out with the They’re Real! Push Up Liner last year and they recently launched 4 new colors – Beyond Brown, Beyond Blue, Beyond Green, and Beyond Purple! These were all over my feed on every social media platform I’m on back when the first one came out and it was no different when the new colors launched! 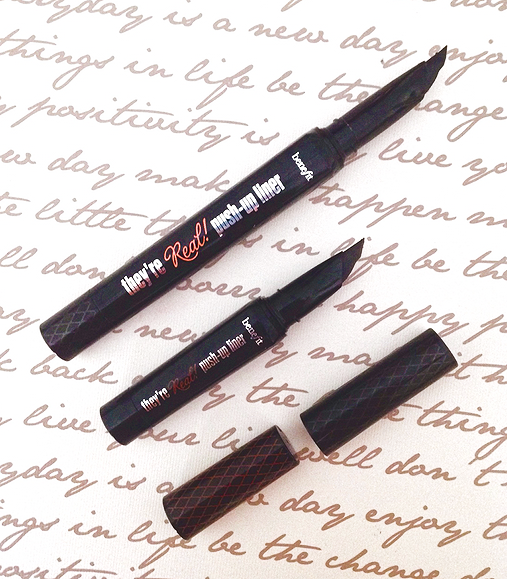 The Push Up Liner is a waterproof gel eyeliner pen. Benefit claims this eyeliner is budge proof, will last 24 hours, and the formula is paraben free, vegan, and latex free. I was lucky to win both of these eyeliners – the full size in black from a Benefit x Birchbox giveaway last year and a sample size of beyond brown in June’s Birchbox! The soft AccuFex tip is meant to give a precise application and I totally agree that it does give a perfect straight line if you know how to work with it! It took me a couple tries to get used to applying this eyeliner but once I did I found it gave really nice wings! However, it takes a lot longer for me to get my wings done with this as opposed to my normal gel liner – Mac’s Blacktrack. I definitely recommend trying a travel sized or finding a sample before committing to the full size since a lot of people found it difficult to work with. The formula for both feels a tiny bit thicker than Mac’s Blacktrack and a little more dry. It dries to a dark matte finish really fast, which is something I love about this product, I don’t worry about it transferring to my upper lid when I blink. However, this eyeliner can get clumpy if you go over what you already applied – another reason I don’t reach for this often. 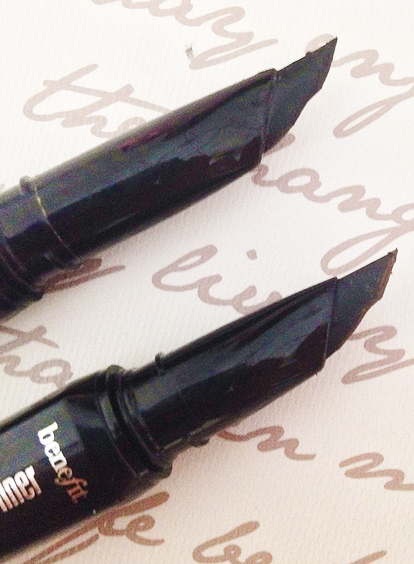 I find that this eyeliner – in both colors – flakes by the end of the day every time I use it. So for me, personally, it doesn’t last the full 24 hours it claims to. However, the parts that do remain are difficult to remove – mainly before I owned an oil based makeup remover, it’s super easy now that I have one. I love the packaging! It’s super cute, sleek, and perfect for travelling. I find size really comfortable to use for application and it’s really convenient to have gel liner in a pen form – no need for finding that perfect liner brush. I also like how the new colors have the same black packaging with a slight difference as opposed to having complete blue, brown, green, and purple packaging. The full size costs $24 for 1.4 grams of product and a travel size in black is available for $12.00. Just for comparison, Mac’s Blacktrack is $16.00 for 3 grams of product – that’s more than double the product in the push up liner! I’m not in love with this product but I don’t hate it. I really like how dark and matte the formula is but I don’t like how long it takes to apply. I love the whole concept behind this eyeliner but my experience with it isn’t amazing enough for me to give up my regular gel eyeliner. I do use it from time but definitely not on a daily basis. Although I was lucky enough to win both of these, I would never purchase these push up liners unless they were on sale. 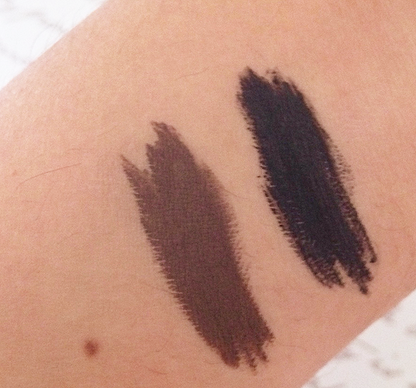 You can purchase these eyeliners from Benefit, Birchbox, Sephora, or Ulta! 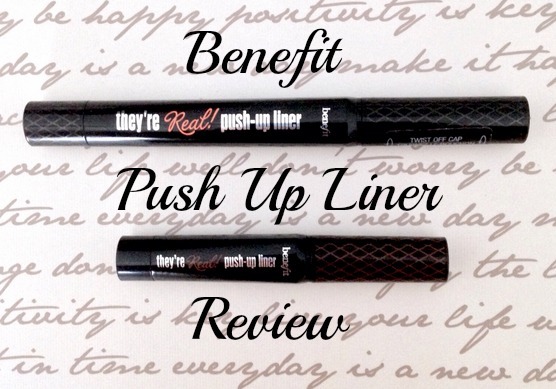 What are your thoughts on Benefit’s Push Up Liner? Have you tried any of the new colors that came out? The shape of the tip of the liner is so interesting. It looks cool; Too bad to hear that if flakes tho! Great review!